Ahoy, Adventurers! Here's something a little different that I baked for a class potluck. This super fragrant, green-tinted, chewy cake is called "Bánh Bò Nướng" in Vietnamese and is one of my favorite Vietnamese treats. It's a popular dessert flavored with pandan extract and coconut milk. The English name might be a little misleading because the "honeycomb" does not refer to any honey used in the recipe but rather the unique bubbled honeycomb shape of the finished product. Bánh Bò Nướng is notorious for being really fickle. There are many tips and tricks suggested by various bloggers, but often in the comment sections, you'll read about the multiple failures others experienced - mainly getting a dense brick cake with no bubbles. After successfully making this cake twice (just to rule out beginner's luck with my first attempt), I am pretty confident that my method works. You have to use single-acting baking powder. Double-acting baking power supposedly won't give you the proper honeycomb shape, but Andrea Nguyen from Viet World Kitchen found that you will still get bubbles just maybe not the ideal honeycomb formation. Do not overmix your eggs or else you will get a flat cake. Let the cake rest in the hot oven before removing it. My friends are HUGE fans of Breaking Bad. Although the show ended not too long ago, I wanted to cook a special treat for my friends for Christmas - Blue Sky! No, not that Blue Sky! 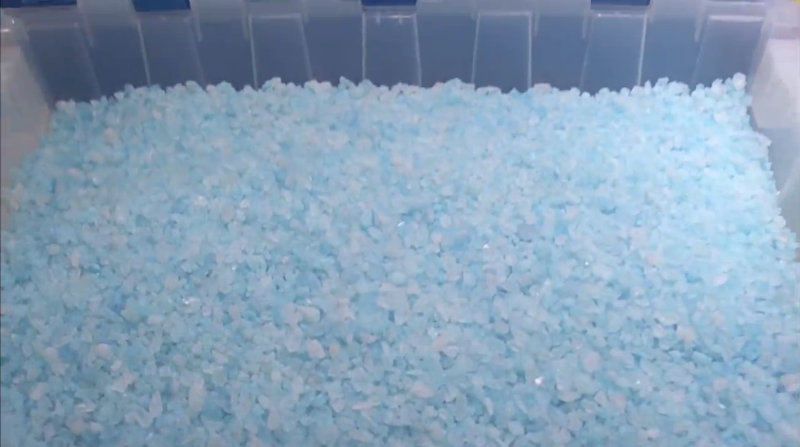 The rock candy version of Walter White's ultra pure meth! Apologies for the extended hiatus! It was much longer than I had originally anticipated, but I hope you all had a fun, safe, warm holiday season. My holidays were busy with family and friends, but I've also been making things that I'll blog about later. :) Be sure to stick around in the upcoming weeks! You see, the end of November and early December always correspond with end-of-the-quarter craziness - finals, papers, projects, presentations, and all that fun stuff. In addition, there's Thanksgiving and... my brother's birthday! 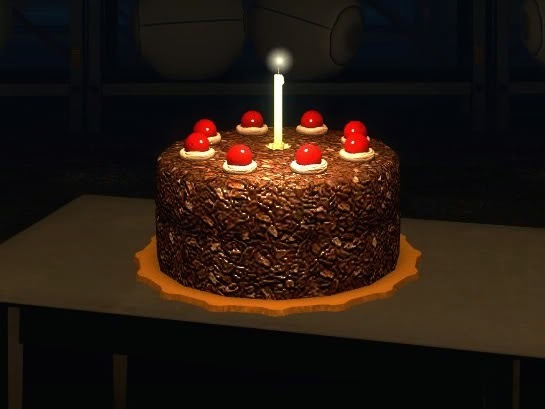 My brother's a big fan of Portal so this year, I made him a Portal Cake. That's right, the cake is NOT a lie!